Last Friday evening, after declining dinner invitations to take a much needed walk around downtown before finally settling on heading home, I stood on the F train platform at 2nd Ave. A couple next to me–the woman carrying a potted orchid–looked at my tattoo, then smiled. I smiled back. My tattoo has invited a variety of conversations with strangers–are you a writer? 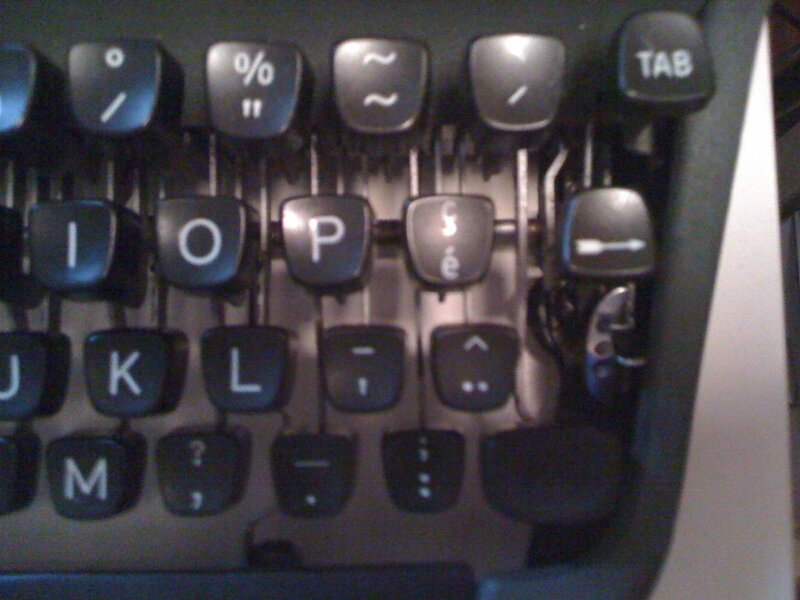 did you know i learned to type on one of those? is that a royal?–but this one takes the cake. The woman approached me and said that, while random, she noticed my tattoo, and they had an old typewriter in their apartment they’d been meaning to get rid of. Would I like to have it? They lived in DUMBO, and after figuring that we were all headed home anyway, that I could come back with them to their loft, retrieve the typewriter, and be on my merry way. On the train we discussed the merits of random acts of kindness as it relates to karma, and whether or not this gesture would garner her any favors from the universe (I voted that it would). The typewriter belonged to their landlord, who had refurbished it and given it to his wife for her birthday, except she never used it. When the couple found it in their apartment, the landlord said they could do whatever they wanted with it. The woman, an artist, was happy that it was now going to a good home. 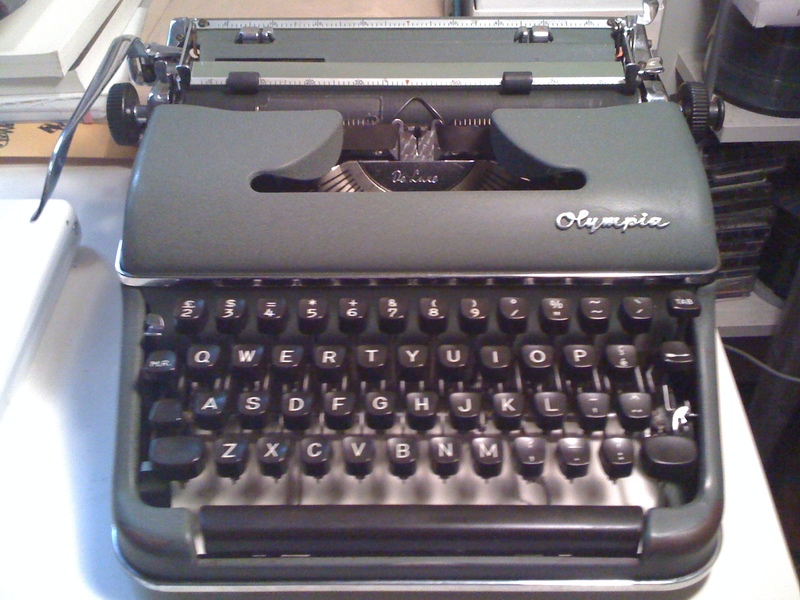 It’s a total beauty–an Olympia, with a kind of industrial green colored case, made in Germany. It’s in great shape, including an ink ribbon that, with a little love, worked like a charm. The keys and gears move along with such ease. From the looks of it, I’m guessing it was made sometime before WWII. Even better–the keys include all European accents, including a pound sign, and a tilda. It’s such a treat to type on a manual typewriter. I love them because they’re a good compromise between writing by hand (which can become tiresome) and writing on my laptop (which makes my eyes weary). Plus, is there any better sound than the that of the clicks, dings, and taps of typing on a typewriter? Certainly not. Here’s to a summer of this sound floating out from the window above my desk, mixing with the urban din of life in Brooklyn.